The recent release of The Movies game was spawned some absolutely fabulous short movies (because we can’t really call them Machinima, can we?). But I was specially touched by Koulamata’s The French Democracy. It’s a great movie about the recent riots in France. 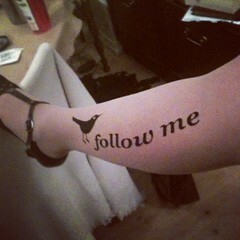 What a brilliant way of getting your point across! But as Water Cooler Games reports, it is rather amusing seeing the American flag hanging around everywhere. I really need to get my hands on this game. I’m wondering what the gameplay is about? What is it really that makes this a game? Will ofcourse have to have a good look at the property rights issue here, as well! But I’ve been up all night and the old braincells aren’t working as they should, Clickable Culture is ofcourse already on the case!! I’m sitting here also pondering on what restrictions there might be, there are bound to be many, but is it possible to burn the American flag for example? Yet another great book for my Christmas wish list! This looks great! And I’m wondering how on earth N. Katherine Hayles has escaped my attention! 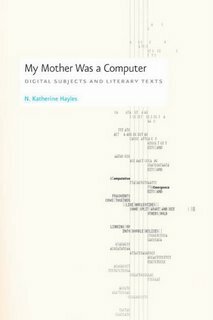 My Mother Was a Computer looks like an incredibly exciting book. And her former, How We Became Posthuman: Virtual Bodies in Cybernetics, Literature and Informatics looks amazing as well! Atari, Bioware and West Nottinghamshire College have teamed up and created an educational gaming environment using ‘Neverwinter Nights’. “They prototyped a scenario that allowed learners to interact in a fantasy setting involving team working and problem solving situations. The prototype was designed to be used for reinforcement and evidence generation in a ‘fun’ environment. They’ve accomplished amazing results and they’ve won the 2004/05 Becta Beacon Award for The Effective Use of Information Learning Technology to Enhance Teaching and Support Learning (jeez…that was a mouthfull). Great stuff! It’s lovely to see education taking games seriously. The game was designed (or re-designed) to map all of the Edexcel Key Skill evidence requirements and they saw an increase of students passed from 90% to 100%. After some digging after reading the initial article that caught my attention, this all seems to be rather old news that has passed me by. I suppose the news of today is that it is now going to be offered to other educational institutions. I wonder what the market value of a game like this is? A big thank you to Incredible Mr. Hove for the info! Isn’t that an interesting ratio? So we can say that free casual online games are just as likely to attract women as men…pretty interesting! I’m wondering why. Does this mean that women are discouraged by the seriousness of games? Or that they just don’t see the point of spending money on games? These are numbers that have come out of a report by Nielsen. The report also notes that the gaming demographic is expanding to include more mature males with reasonable incomes (what a shock!). They note that MMOs are becoming more popular and gamers are using more of their tv time to play games, concluding that advertiser should seriously start considering MMOs as an advertising forum to reach these demographics. Gamasutra and BusinessWeek have more indept articles on the report. I’m blogging on borrowed internet time so I’m still blog rushing (he he..can I say that?). I’m still unconnected at home and I’m seriously considering showing Telenor a big fat middle finger! This advertising in MMO’s discussion is just popping up everywhere at the moment! I don’t know if this is because I’ve become more attentive to the subject or because it really is a hot topic at the moment. Anyways…thought I’d just put some focus on Clickable Culture’s post which discusses the comments “Gamers will generally accept ads in games – as long as they fit into the gaming experience” and “ads make games more realistic”. Extremely interesting…for are we really saying that games are unrealistic without advertising? It’s definately a debateable topic. Also, Gamasutra’s got a Postcard from Rich Vogel (Stars Wars Galaxy, Ultima Online) “How to Manage a Large-Scale Online Gaming Community”. And there’s a paragraph about Viral MMO Marketing which was…umh…informative…yet not? Just wanted to post these two links. I’m spending Friday night at my parent’s because my internett is down…and well…seems I couldn’t manage weekend life without being connected! Troubling, I know…but I can’t help myself!! Anyways…concentration is a bit low, but will get back to this another day with more focus. I will however mention that at the First Tuesday seminar last month I asked Funcom’s Jørgen Tharaldsen whether they consider using advertising in Age of Conan as they do in Anarchy Online and I dare say he snickered at me. And if memory serves me right he mentioned that Age of Conan was a fantasy world and therefore the possibilities weren’t as evident, but he also mentioned that he wouldn’t rule it out. Hmmmmm….. Anyone interested in gaming news knows about the ever annoying lawyer, Jack Thompson and his lawsuit in Alabama. I’m not going to bother recapping or explaining him…but!! Just thought I’d mention that he’s now had his temporary privilege to practice law in Alabama revoked! Gaming a good parenting tool? This week’s issue of The Escapist is dedicated to Generation G, people brought up on gaming. Allen Varney writes about gaming and parenting. It’s an interesting collection of interviews discussing how ‘grown up’ gamers are playing with their children and how they’re finding it useful for quality time, communication and learning. I found the article quite sweet and charming. True gamers are growing up and reproducing and they’re not giving up their passion for gaming, instead they’re encouraging it in their home and within the families. I think the key issue here is to be involved with the gaming enjoyment, to take the time to play with your kids and to be aware of how gaming can be used as a learning tool. But I do however feel quite weary of such overly optimistic articles. This is not to be mistaken with just encouraging game play in the family but not participating yourself – because they’re not the same thing. I’m DEFINATELY not saying that games are bad for you. I’m just saying, these articles written by games enthusiasts can be slightly overoptimistic and often objectivity is extremely hard to find. It’s good to read such positive experiences once in a while, certainly and that’s why I throughly enjoy reading The Escapist, I just find the authors a bit blinded by their own passion. It’s quite funny actually, because whether it’s written academically or journalisticly (oh dear…is that a word? ), most gaming articles tend to be extremely enthusiastic about games with extremely little criticism, if the author is a gamer, that is. If the author has never touched a game, the text is just filled with negativety and condemnation of cultural hell. I’m missing something here. Studying MMORPGs has often led me to this problem, most of what I’m reading academically, seems like gaming journals where the writers are just informing you of what a fairytale world they’ve encountered. If there actually is any criticism it’s because the game producers are accused of enforcing cruel dictatorship. I’m mildly exaggerating here, but it definately is how I feel at times. It seems like there’s two unified fronts gamers vs non-gamers. Games are good for you vs games are poison to our society. European Adverstising in Games Forum was last week in London and according to Ian Bogost at WaterCooler Games it was quite tragic. He also mentions a few facts which I thought I’d sum up here. There seems to be only 3 in-game advertising network provider; Massive, IGA Partners and Double Fusion. And they support only 6 games between them!!! Which is mind blowingly low, in my opinion. But then there are hidden advertising deals around as well, they just don’t go through game advertising network providers. The Sims Online, for example has McDonald’s all over the place! Yup! You can actually buy a Big Mac for your avatar which was suprisingly popular. They actually did provide an alright service for those keeping skilling houses because the owners didn’t have to go through the tedious task of making food for everyone all the time. There was also the service provided by Everquest and Pizza Hut. While playing Everquest II you could just type the command /pizza and be guided over to Pizzahut.com. Not to mention the mini-advergames in MMO’s like Wells Fargo in Second Life. But I’m rambling now. The market is ofcourse expected to soar now that the next generation consoles are more ‘connected’. 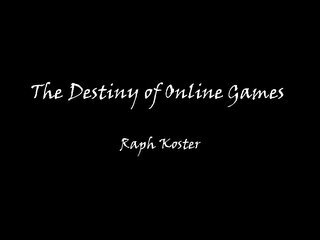 And I know I’m rather unpopular in saying this, but I rather enjoy what Massive have done for Anarchy Online. I rather think it’s tasteful and definately not invasive in any way. At a time when production costs are extremely high isn’t this an acceptable step? I am scared of the evolution of in-game advertising, however. There are just so many dangers and I’m not going to depress myself by dwelling on them here. And to be perfectly honest, I’ve pretty much forgotten what the point of this post is. Advertising is going to hit games big time, there’s really no doubt about that. I find it really strange that it hasn’t already. But if we are to enforce advertising in MMO’s, I certainly feel that the player’s ‘rights’ becomes an even more important issue. If companies reserve the right to advertise their products in these virtual worlds, certainly a player should have the right to free speech! And the EULAs definately need to be discussed more indepth! Gamasutra has this as their ‘Question of the week’ discussion! “Do you think that in-game advertising is going to be important to the video game industry in the future? What business models and placement tactics for in-game ads make the most sense to you?”. I can’t wait to read the results!! According to Deutche Welle, Germany’s been itching to ban Counter Strike ever since the Erfurt school shooting incident, but that’s virtually (don’t you just love how this word has double meanings, now?!) impossible. Of course this raises oppsition from the industry a.s.o. I’m not very familiar with German government so I was a bit suprised when I the article states that Mr. Scheuer is “in charge of youth protection”. Does this mean he’s a minister of youth protection? I’m not sure I understand what his responsibility really is. To protect all of Germany’s youths? Or just specifically against media? Hmmm…definately something I have to read up on sometime. I really don’t like it when people start using the word ‘ban’ around games. I suppose I feel offended and well…scared. Before they banned books, now they’ll ban games? And, I’m sorry, but is there some massive outbreak of kids going around with machine guns killing people that I’ve missed? Isn’t crime amongst youths actually lower than it’s been for a while? Maybe I’m just being naiv and ignorant here, but is there really a big problem of violence that’s spurred from computer games? 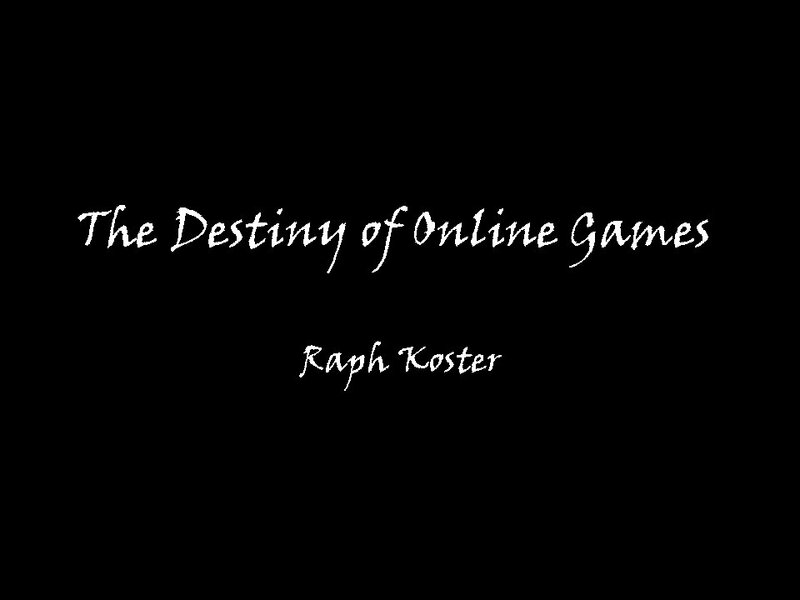 Wonderland is so right when she calls this presentation by Raph Koster poetry. It’s beautiful, pleasant, frank and yeah…absolutely poetic! I’m always amazed at how Mr. Koster manages to break down ‘complicated’ questions and turn them into a fairytale type story. No wonder the man’s a guru within games!